In the Fall of 2000, leaders and staff of the Organization of the NorthEast (ONE) met with State Representative Larry McKeon to remedy the frustration both parties shared concerning adequate, accurate information when interpreting the history and present composition of Uptown’s housing stock, land uses and population. Uptown is a diverse neighborhood on Chicago’s north side. They set out to compile a thorough account of changes within the community and how those changes were affecting their respective constituents. ONE and Representative McKeon contacted the Center for Urban Research and Learning (CURL) at Loyola University Chicago, which had a long history of working in collaboration with a number of Uptown organizations. The goal of this report was to examine housing, land use, and demographic variables as of January 1, 1990, and to document what changes occurred through 2000. As portions of the data analysis were completed, the research team reported to the Local Advisory Committee and received feedback and suggestions to further examine the data. The report is organized into three broad sections. 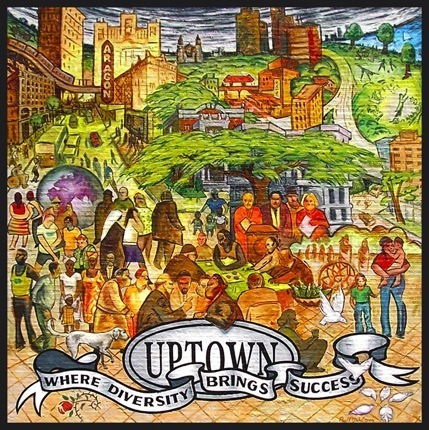 First, a brief history of Uptown is provided to give readers a context for the setting of the study. Second, changes are examined that occurred in key demographic, housing and land use variables between 1990 and 2000. Finally, a variety of maps, graphs, and tables, to be found in the appendix, are used in presenting a more detailed picture of the community area.